Monsters to Laugh With, Monsters Unlimited and Monster Madness (Marvel Comics) | 'TAIN'T THE MEAT… IT'S THE HUMANITY! In the early 1960’s Marvel Comics were enjoying unprecedented success with their unique brand of relatable superhero comics. 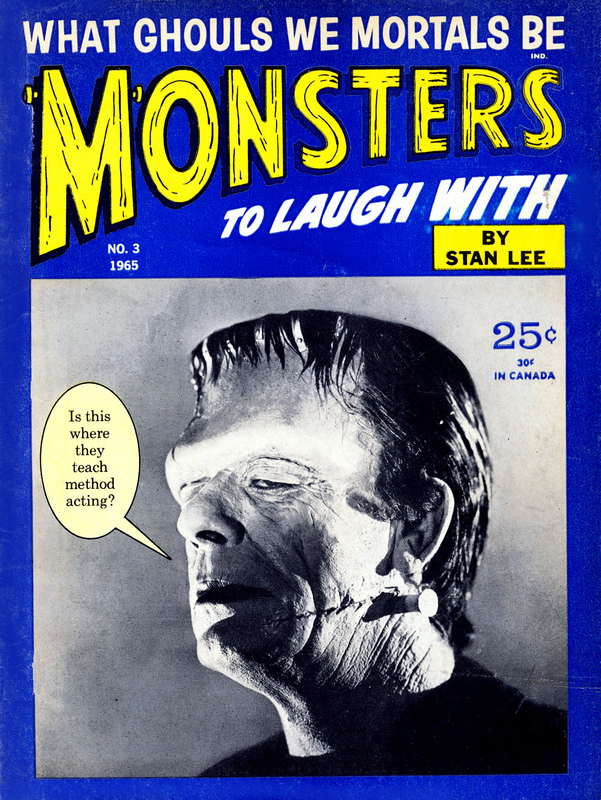 But Marvel also published non-superhero titles such as this all-but-forgotten series of humorous horror movie magazines. 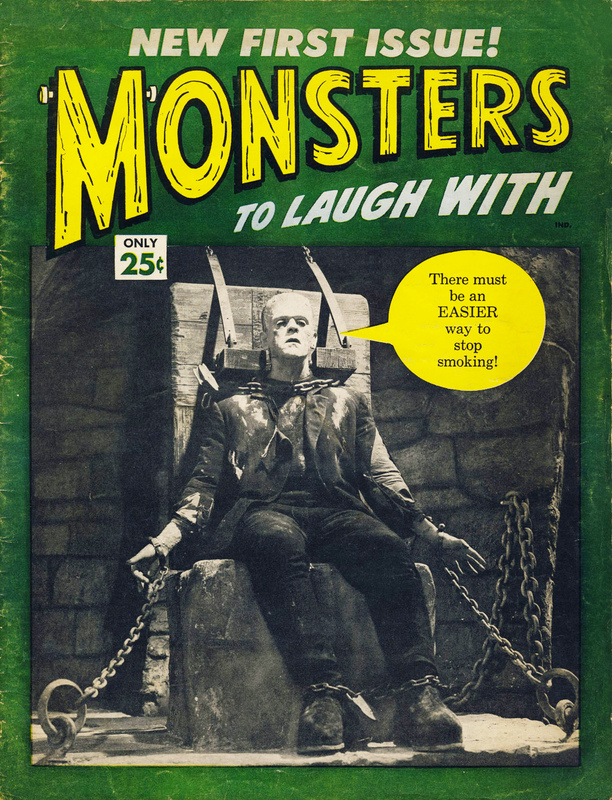 Published in 1964, priced at 25¢ and running to 36 pages, the concept behind Monsters to Laugh With was a simple one: take a selection of black and white stills from famous Hollywood monster movies and add humorous captions/speech balloons. And that’s it — not exactly high concept. 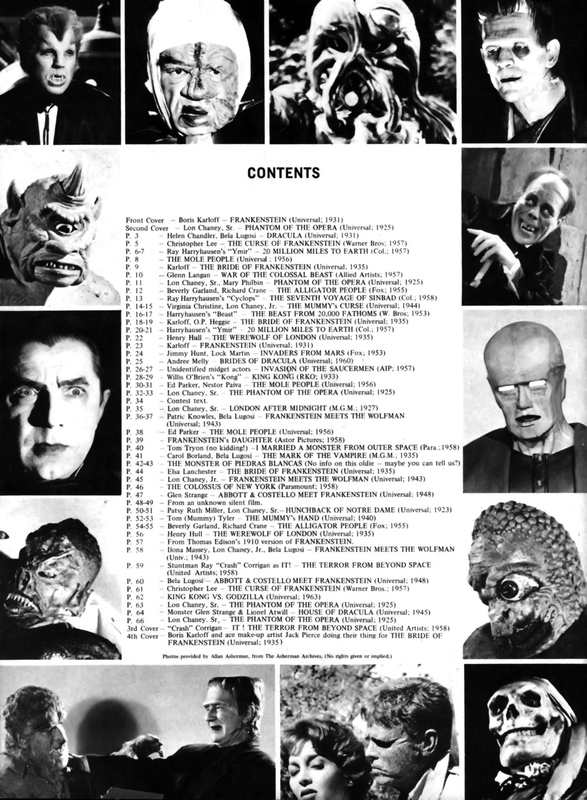 The magazine featured stills from dozens of different films, including most of Universal’s stable of horror titles (Dracula, Frankenstein, The Wolf Man, etc), as well as images from various Godzilla and King Kong movies and even some science-fiction films. The gags themselves were pretty basic and, in truth, not terrifically funny. Marvel’s Editor and head writer Stan Lee received the only writing credit, and even though the gags do display his corny sense of humour I suspect the captions were probably the result of a group effort by Marvel staffers. And the issue wasn’t actually published under the Marvel Comics banner, but was instead released by one of publisher Martin Goodman’s other companies, Non-Pariel Publishing Corp, which specialised in humorous caption titles. 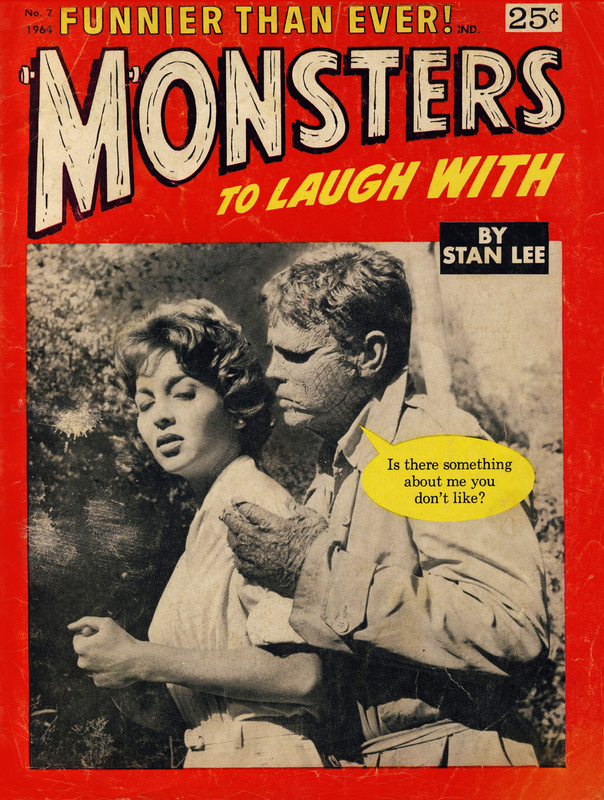 Issue #2 of Monsters to Laugh With saw print later that same year and followed the same formula, except this time Lee received a credit on the front over. 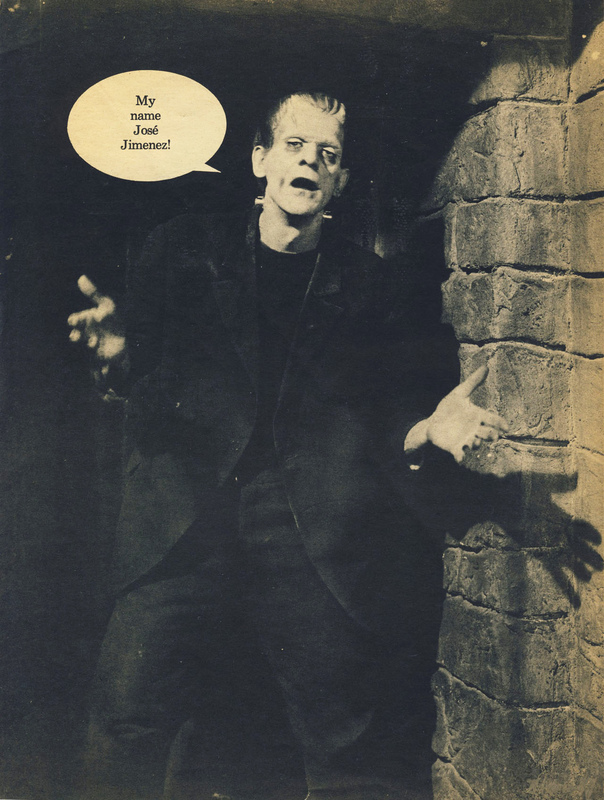 Issue #3 was released in early 1965, and with this issue a caption competition was introduced so readers could supply their own gags. As well as the usual assortment of horror stills a few more sci-fi and fantasy movies made their way into the mix, such as Fritz Lang’s Metropolis from 1927, This Island Earth from 1955 and The 7th Voyage of Sinbad from 1958. 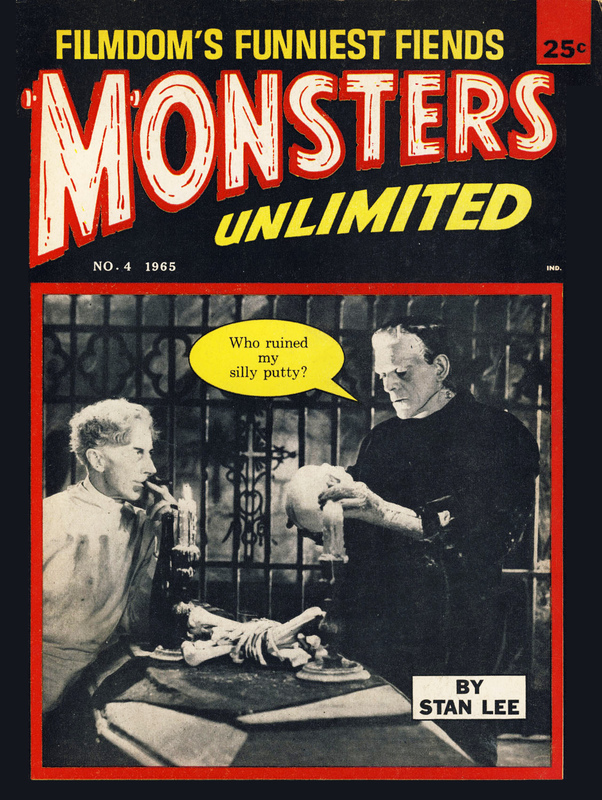 With issue #4 the comic’s title was changed to Monsters Unlimited. Apart from that it was business as usual. 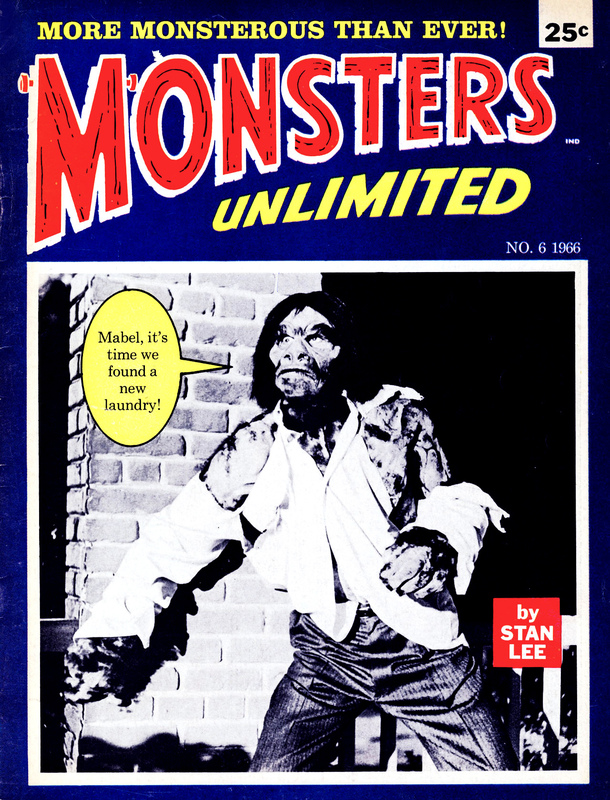 Issue #5 of Monsters Unlimited was released later the same year. 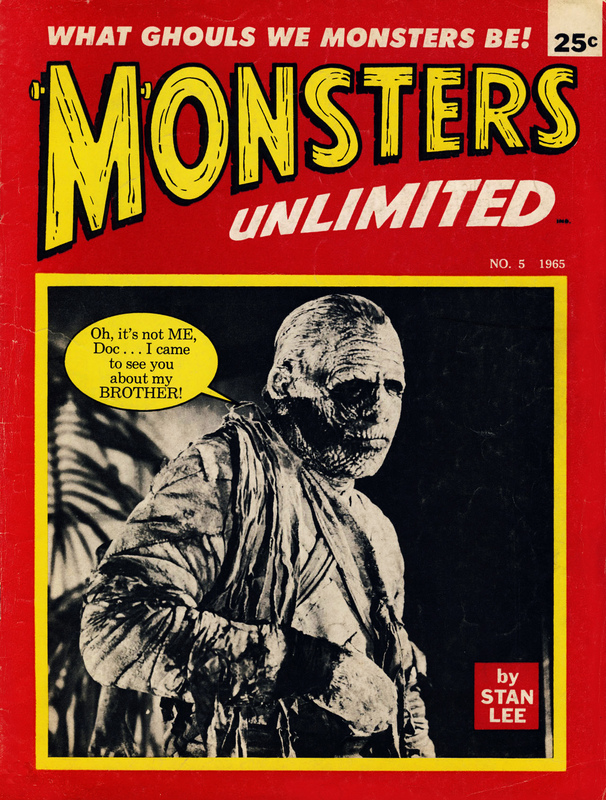 …and later in 1966 so was the magazine; Monsters Unlimited was cancelled after issue #7. But there was still life left in the concept and, in the best tradition of Hollywood monster movies, six years later it was resurrected thanks mainly to the Comics Code Authority (CCA). In the early Seventies the CCA had come under increasing pressure to change it’s draconian rules forbidding the depiction of horror in comics. In 1971 they softened their stance a little, leading to a flood of horror-themed comics, with Marvel leading the way. One of these new titles was the relaunch of the comedy-horror-caption concept under the new title of Monster Madness. 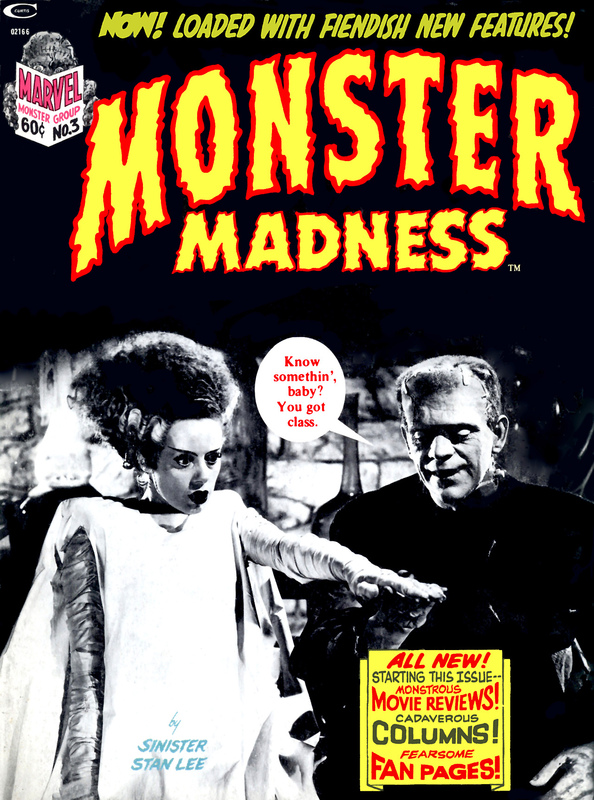 Released on a quarterly schedule the first issue of Monster Madness appeared in late 1972. Priced at 60¢ it ran to 68 pages and was published by Marvel’s Curtis Magazines imprint. 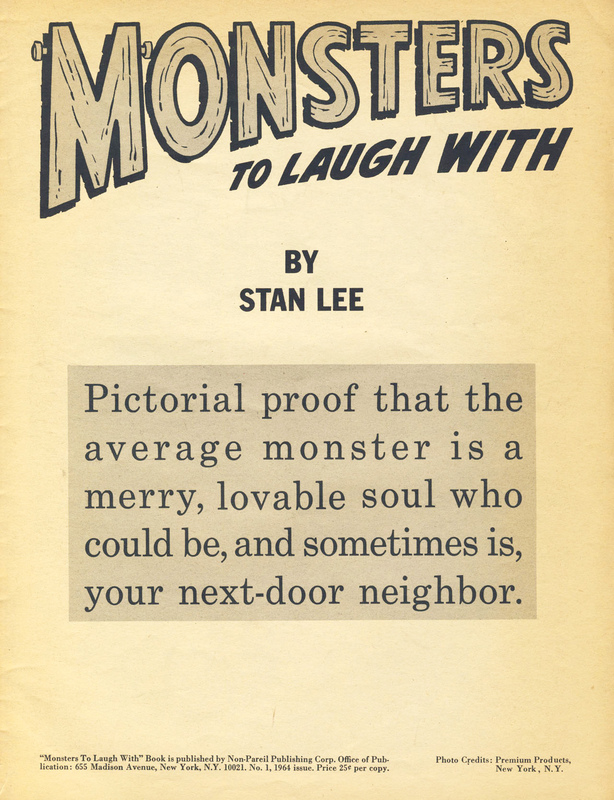 Lee still received cover billing (this time as Sinister Stan Lee) and the format remained the same, with two exceptions. Along with the full page black and white stills a page was added near the beginning crediting the movies used in the magazine. And to fill out the longer page count many of the stills ran over an entire two-page spread. The caption competition also returned, as did a lot of the same gags — Marvel clearly didn’t think their readers had long memories as quite a high number of the captions and stills were repeated from Monsters To Laugh With and Monsters Unlimited. 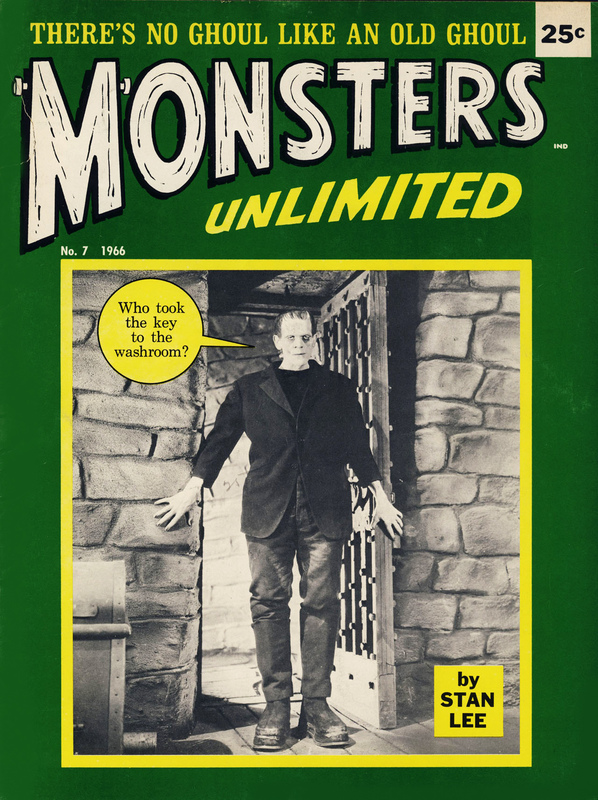 Issue #2 was published in early 1973 and featured stills from TV shows Lost in Space, The Munsters and The Outer Limits. 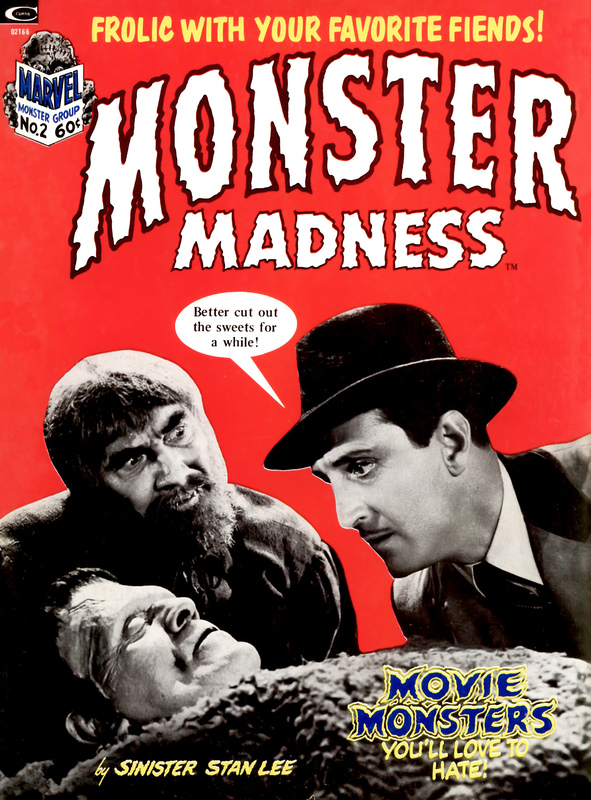 Issue #3 of Monster Madness saw major changes to the title’s simple format. In an attempt to give it the feel of a ‘proper’ magazine movie reviews were added (Asylum, Blackula and Dr. Phibes Rises Again), as well as articles on The Creature from The Black Lagoon movie series and writer Robert Bloch, author of Psycho. Text fiction based on Marvel’s Werewolf By Night comic also appeared as well as adverts for other Marvel horror titles. And rounding off the magazine was a letters page and the caption competition. The comedy captions still took up the bulk of the mag but they now jarred with the more serious text pieces. Clearly readers weren’t crazy about the changes and faltering sales lead to the title’s cancellation soon after. But, with the tenacity of a Hollywood movie monster, the comedy caption/speech balloon format just wouldn’t die. 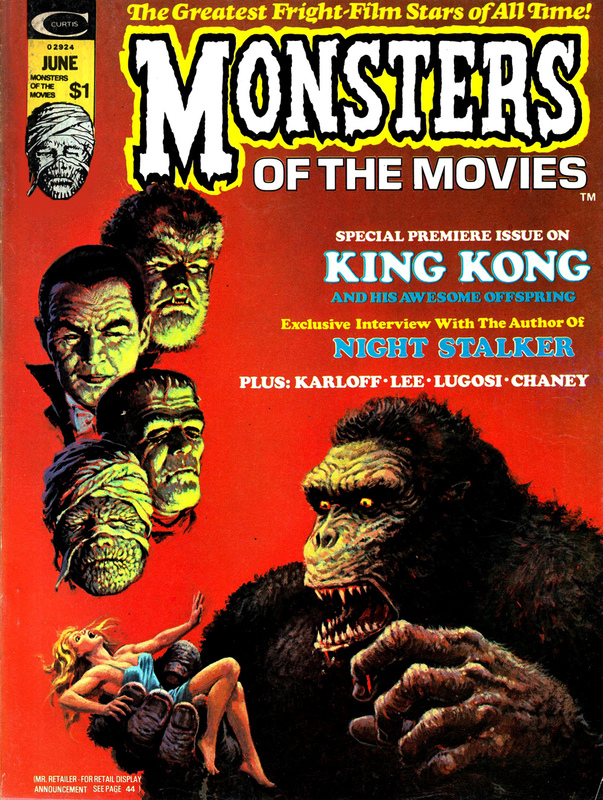 In June of 1974 Marvel (again under it’s Curtis imprint) published the first issue of Monsters of the Movies, a clone of Forrest J. Ackerman’s long running Famous Monsters of Filmland magazine. Priced at $1 this new title featured text articles and comics and, for the first issue only, a selection of humorous horror movie captions. 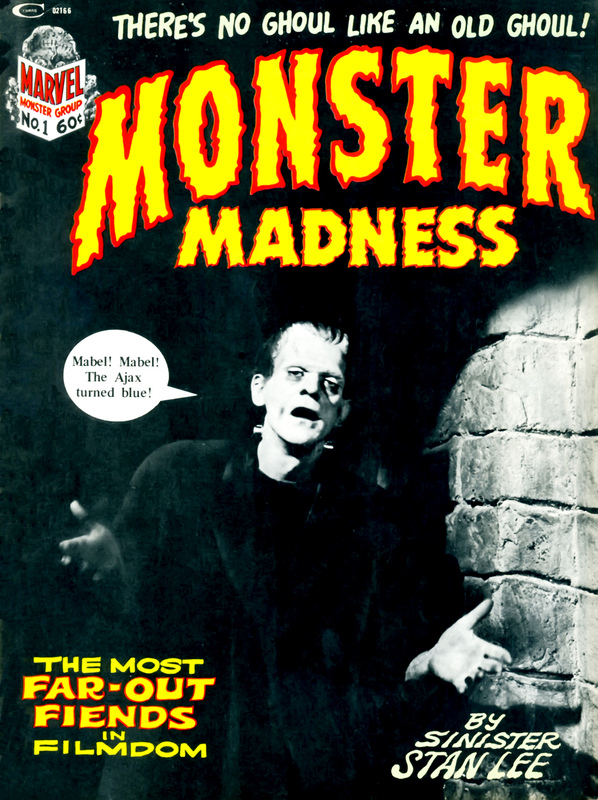 Sadly Monsters of the Movies faired little better than its predecessor and after just eight issues and an Annual it succumbed in August 1975. And this time Marvel’s horror comedy caption format would stay dead and buried.